← Did the Fear of Factions Cause a Grid- Lock? The digital age we live in has greatly changed the way citizens obtain information about the government, and has definitely changed the way people participate in government. According to Pew Internet reports 73 percent of internet users seek information online for political purposes. There is not doubt that our technology centered environment has changed the way democracy looks in America. Web 2.0 has greatly altered the way people obtain information and communicate with each other. Social media has strengthened Morone’s idea for the democratic wish in America. Recalling back to the beginning of the semester, we read “The Democratic Wish” by Morone. He described the endless cycle of democracy that the United States is stuck in. There are four big steps to this cycle, and the second step is where the democratic wish actually occurs. At this step participation of the polity escalates in the hope of changing the status quo. Examples of these grass root uprisings are the conservative tea party movement, and more recently the Occupy Wall Street protests. Although the Tea Party and Occupy Wall Street movements still would have occurred without the help of social media, there is no doubt that social media sites expanded the scope of these protests. 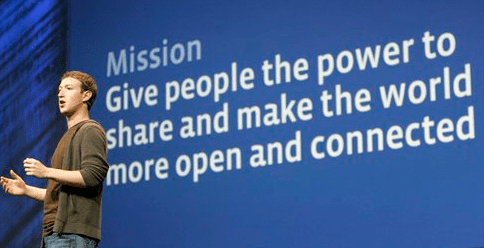 Social media has amplified the power of the democratic wish. This is occurring because social media sites are a networks that are naturally good at helping people form groups, which is the key when it comes to collective action. Social media has increased the speed at which the citizenry can bond together, and therefore, increased the speed at which the democratic wish can form. This is because social media plays a critical role in the spread of ideas. The ubiquity of social media tools helps ideas spread quickly to every part of the United States. Ideas can flow quickly and easily through tools like Facebook and Twitter. We have seen this first hand with the Occupy Wall Street Protests. People spread the word about the protests in virtually no time at all. Social media raises awareness and allows people to quickly form movements to enact change in the nation. Social media is the key to collective action in the 21st century because it reduces the cost of distribution of information. In the past people would have to pay to get the newspaper everyday because that was the main source of their political knowledge. Now, anyone with internet access can obtain any information that they desire. Just as important as reducing cost, social media also allows ideas to cross boundaries easily. Again, we can see this in the Occupy Wall Street protests because similar protests take place all across the country. We see them from Oakland, California all the way to the east coast. Everyone who wants access to information is able to access it. There are no gate keepers on Facebook deciding what information is acceptable to post. Everyone has a voice. The main problem with social media and collective action is that it allows people to commit to participating in a movement, but nothing ever forces them to follow through on their commitment. That’s why it still takes much more than a Facebook group to create a true change in the status quo. The democratic wish cannot be achieved with social media alone. My argument is simply that social media increases the speed at which the democratic wish is enacted. I think your post brings up an interesting aspect of today’s society that I’m shocked no one else has brought up. Social media sites like Twitter and Facebook have truly changed that way information is shared in today’s world. Before Facebook and Twitter we had e-mail and text messaging, but those forms of communication had it’s limits. With Facebook and Twitter we are able to reach praticially anyone in the world. I agree with your arguement that social media helps speed up the democratic process. Aditionally I think that social media sites in general are a great proponent of democracy today. They allow anyone to voice their opinion, thus giving everyone the right to share their ideas. I think your blog post brought up some interesting points. I would agree that social media like Twitter, Facebook and Tumblr have definitely changed and helped the Democratic Wish. 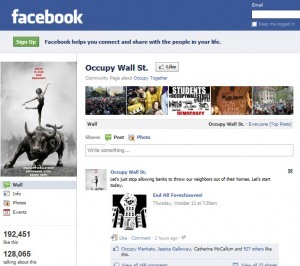 If look at the Occupy Wall Street movement, most of it was organized using social media. The 53% of the Occupy Wall Street is almost 100% social media. And the message of the 99% was able to go global because of social media. I definitely agree with your statement that social media has changed the way that people participate in government. Personally, most of the political articles and polls that I read online are recommended to me via social media sites such as Facebook or twitter. It is also much easier for people to participate in politics by voicing their opinions on these social media sites by either commenting or simply filling out surveys. Who knows, someday citizens may have the ability to actually vote online too!